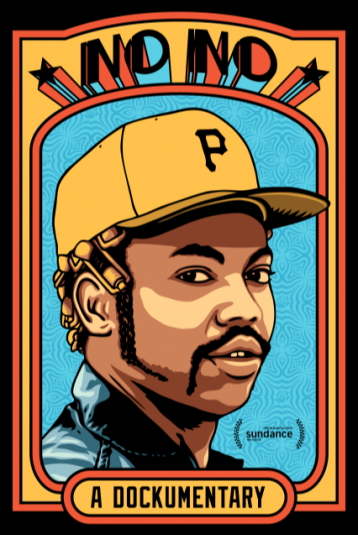 On June 12, 1970, Dock Ellis threw a no-hitter for the Pittsburgh Pirates. In 137 years of organized professional baseball, it’s the only no-hitter tossed while the pitcher was on LSD. Dock was often embroiled in controversy on and off the field. While professional baseball hadn't fully embraced racial equality, he was an outspoken leader who lived the expression 'Black is Beautiful!' His fearlessness enabled him to become one of the most intimidating pitchers of the 70's and a trailblazer for a new wave of civil rights. After retiring, Dock became as outspoken about his career-spanning substance abuse issues as he had been about intolerance. He spent decades utilizing his brash approach as a counselor, helping other addicts in their recoveries. Through intimate stories and a trove of archival footage, NO NO: A DOCKUMENTARY brings Dock's vibrant life to light, burnishing the legend and revealing the man behind it.